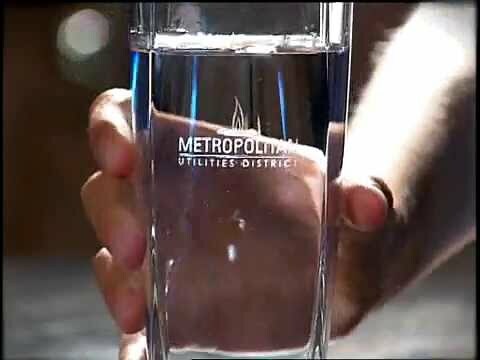 Metropolitan Utilities District of Omaha serves more than 216,000 customers an average of about 90 million gallons of water per day. The District owns and operates three water treatment facilities and an extensive water distribution system that is capable of supply potable water in excess of 300 million gallons per day. We also maintain more than 27,000 hydrants for fire protection. What you pay for water provides adequate system maintenance, offsets the rising costs of power and chemicals, and assures a safe, reliable drinking water supply. As a customer of the District, you receive a high quality product that meets every federal and state standard for drinking water. View the most current report on the Water Quality page. To view the District's Water Alert Emergency Plan, visit the Water Safety page. Sources of M.U.D. tap water include the Missouri and Platte Rivers and the Dakota sandstone aquifer. Water is pumped from intakes and wells maintained by the District. We operate three water treatment plants, which provide a reliable water supply and also allow us to take facilities off line as needed for system improvements. Our treatment facilities use processes to soften, clarify, filter and disinfect the water to meet drinking water standards. Reduce the use of fertilizers, pesticides and toxic cleaners. Do not dump trash, used motor oil or other waste into storm sewers. Donate unused paint to community groups or take it to a household hazardous waste collection facility like Under the Sink at 4001 South 120th Street, which serves Douglas and Sarpy counties. For hours and a list of items accepted, visit www.underthesink.org. Please visit the Quality and Conservation drop-down menu tabs for more information. 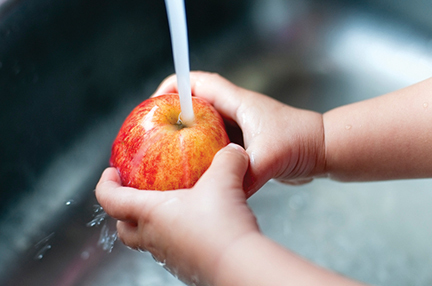 If you have additional questions about drinking water, call the EPA Safe Drinking Water Hotline at 800.426.4791 or visit their website: http://water.epa.gov/drink/. How often is water tested? Do you perform taste and odor tests on water samples? Why is carbon added to the water? How much fluoride is in the water?